Despite the fact that beds are a dominating presence of any room they’re in, and that people spend a significant percentage of their life in them, they are almost always boring. I say almost always, because some home owners have kicked it up a notch. It’s really easy to get creative in a kid’s room, because within a certain age range, anything goes. This giant bird’s nest looks like way too much fun, and if a kid ever wants to sleep like a king, Berlin’s Propeller Island City Lodge can oblige with a super mini castle. 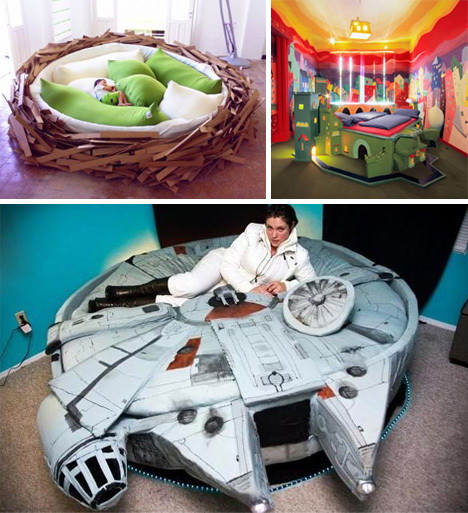 Kayla Kromer (featured as Princess Leia) is laying down on her version of the Millennium Falcon – perfect for any Han Solo wannabes. Kaffe Matthews created an immersive bed experience, by making the mattress recessed and adding subwoofers that play low tones that reverberate through one’s body. 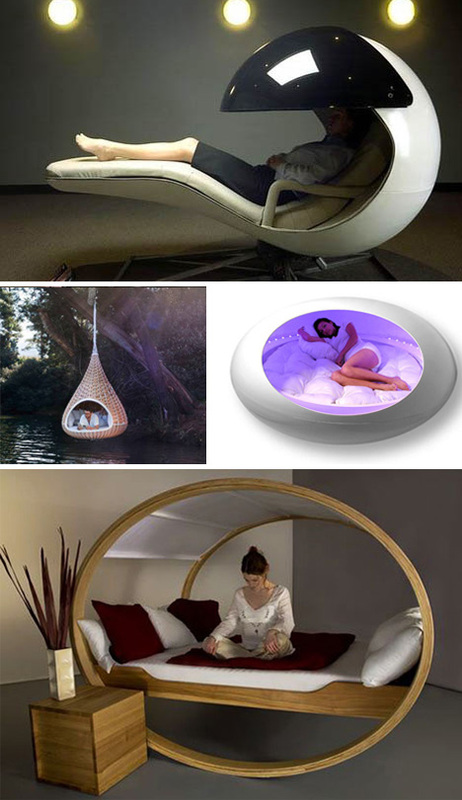 A more conventional design that still looks really darn cool, is this hanging bed hybrid. The Feel Seating System by Animi Causa looks like an interesting design experiment, though not a very comfortable perch. Apparently it’s quite customizable, however. Houses tend to feel very cut off from the environment, which leads homeowners to purchase a ton of indoor plants to bring some of the outside, in. 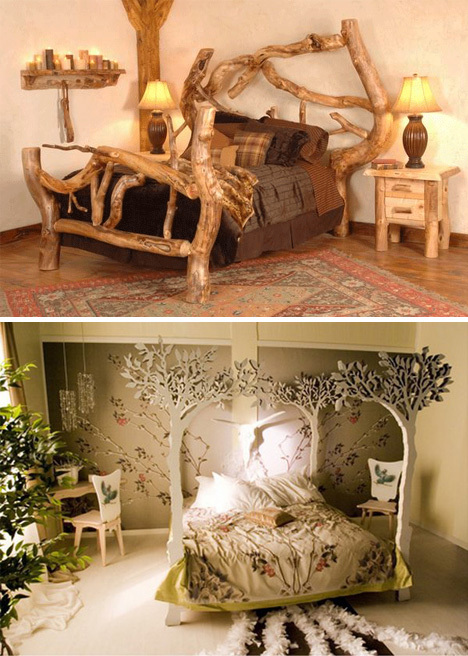 Here are two beds that take their design from the desire to make the atmosphere a bit more organic. The first bed uses natural wood to achieve the environmental atmosphere, while the second bed uses design to accomplish a similar feel. Pod beds are a staple of science fiction films, which is odd, since there’s really nothing preventing people from cuddling up in an enclosed bed in the present. One would imagine it would be quite comfortable and secure. 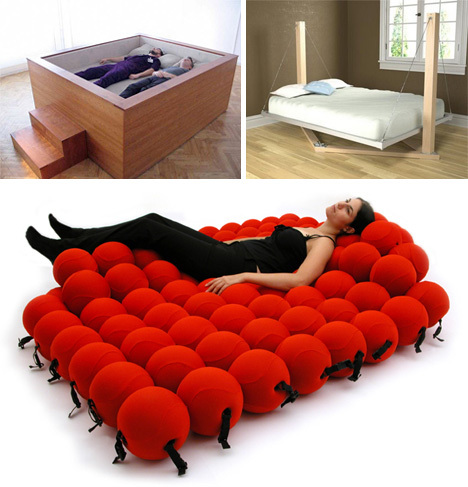 The first example allows workers to grab a quick nap in the office. Company MetroNaps creates sleep pods like this white example, to battle workplace fatigue. Private Cloud is intentionally different, and looks like it could roll right away. Dedon created the Nestrest, which looks remarkably comfortable even as it hangs over water. The Hold Me Bed is perfectly safe, as there is absolutely no way one could fall off. 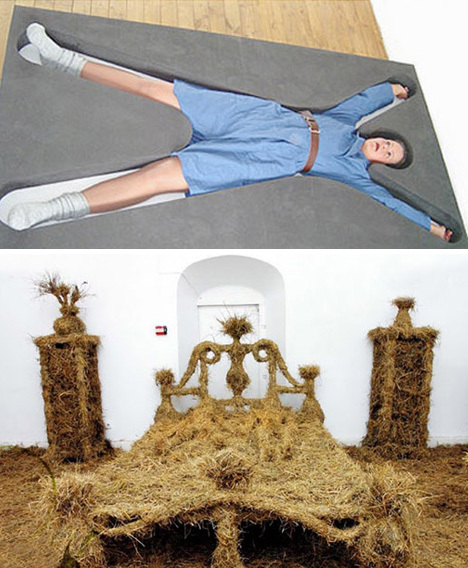 The bed of hay depicted here is sure to elicit a sincere “why?” from anyone who sees it. 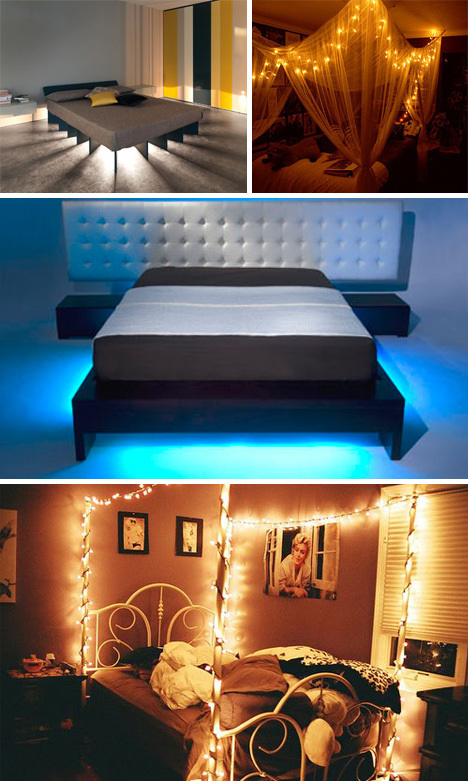 Here are four excellent examples of using a little light and creativity to spice up the bedroom. Anything from bed underlights to simple string lights wrapped around an iron frame will create an inviting glow, subtle enough to still allow for sleep. 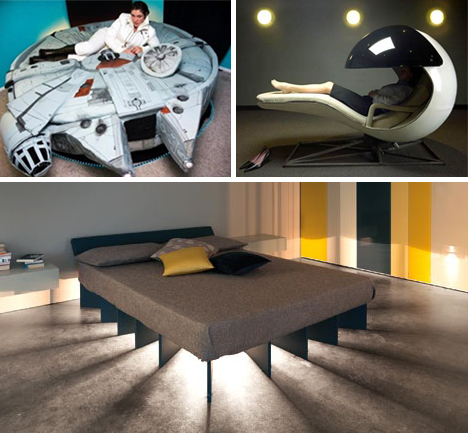 These beds are just darn fun. A lot of people would likely choose not to pursue a food theme, but these creations have to get points for creativity. 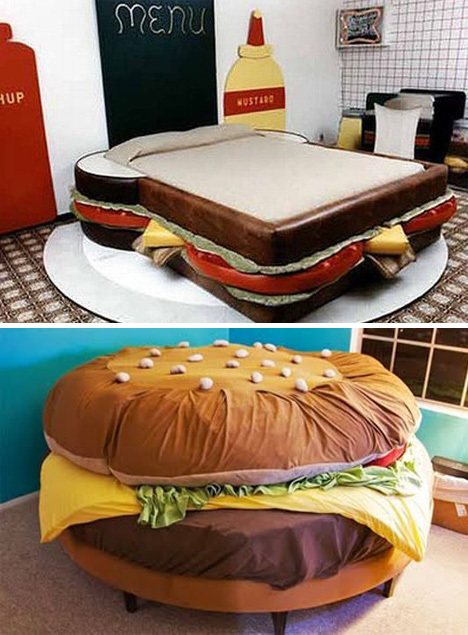 For a kid who dreams of sleeping in an oversized sandwich or hamburger, these would be absolutely perfect.